Visitors that want to buy a used ATV for sale at a good price are invited to check the classifieds on this page to see if we have a quad or side by side that you might want to buy. Owners post listings for all the major brands including Honda, Yamaha, Polaris, Can Am, Suzuki and more! Even the most dedicated bikers like to venture off the paved roads and hit the dirt tracks and trails on both 4 wheelers and dirt bikes. Climbing hills and slipping and sliding in the mud can be lots of fun. Don't let the prices of a new ATV keep you at home when you can find a cheap, used ATV for sale by private owner in our classifieds! Maybe GoGoCycles used ATV classifieds page will entice some people to part with their used ATVs or 4 wheelers so the bikers who visit our classifieds website shopping for a used ATV can find what they are looking for at discount prices. We are all so particular with our show bikes, careful not to scratch the custom paint and the chrome. 4 wheelers that are meant to be run ragged and get dirty may be the key to worry free relaxation. To tell the truth, I’m leaning toward shopping for a used Honda but if a used Polaris ATV or a used Yamaha ATV is posted for the right price I might just change my mind. Meanwhile, I’m going to be doing some research into performance and values of used ATVs and wait for some classifieds to be listed. 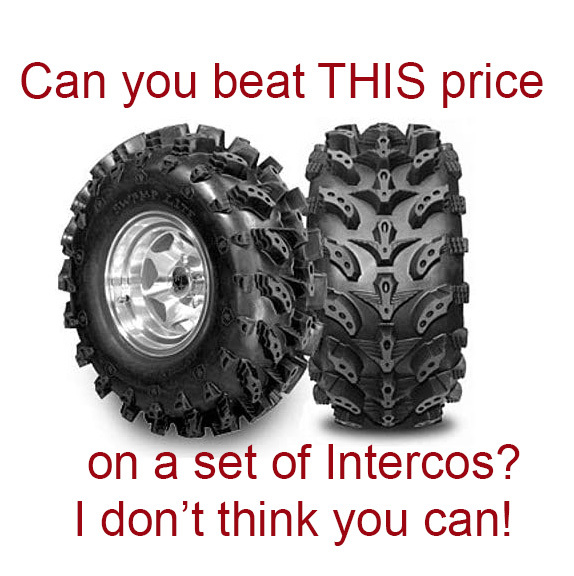 I’d love to hear recommendations on the best 4 wheelers from anybody that knows more about this than I do. The last thing I need is a maintenance nightmare when what I’m looking for is peace and quiet.